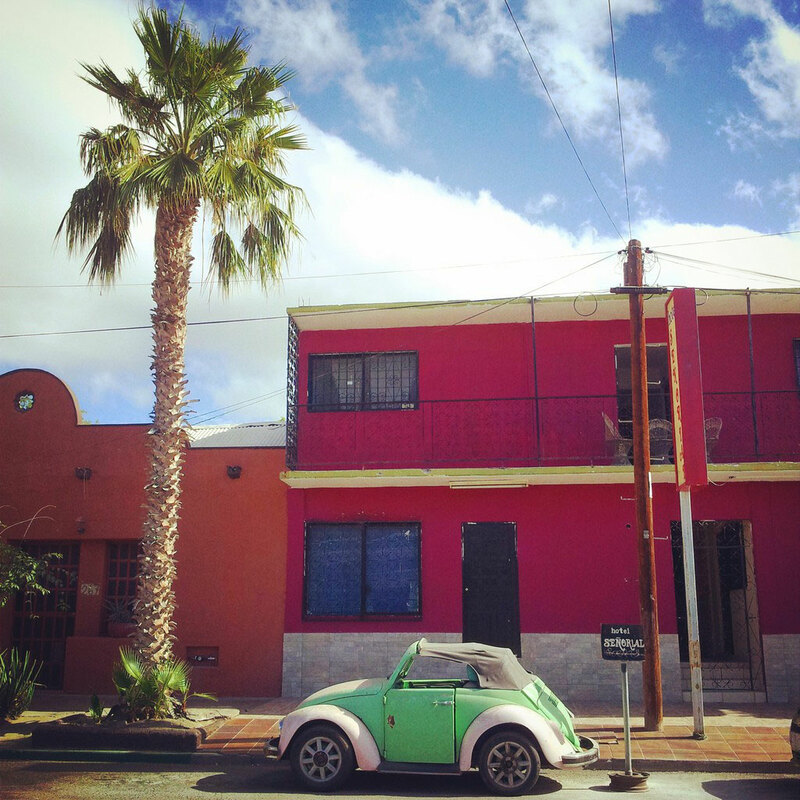 This post is about my stopover in La Paz after I left San Jose del Cabo a week earlier than I planned. Actually I tried to go to Todos Santos because some people told me it would be a nice place for doing Yoga. But I could not find a cheap place to stay. Anyway, it seemed it was not meant to be. In La Paz I stayed in two different AirBnB’s. The first was at a couples place who were friends with Peter the owner of Raices y Brazos and they had a house in Bio Sana! The second AirBnB was at a very nice and interesting backpacker couple. During my walk through La Paz I bumped into a couple I met the day before at Raices y Brazos. In La Paz I received a very sad message. It showed me how important it is to live in the present moment. I booked an AirBnB for La Paz because I wanted to have a bit more privacy. Hostels are nice but I wanted to be a bit on my own after over a month of communal living. The last few days, I did not feel “at home” anymore. I found my first AirBnB in La Paz very easy. Coincidentally, a girl asked the bus driver to stop and I saw it was the street where my AirBnB was. Perfect! A nice lady with Indian looking features and blue eyes opened the door and welcomed me very nice. The house was nice and full of books and some spiritual things like Yoga quotes, Zen. 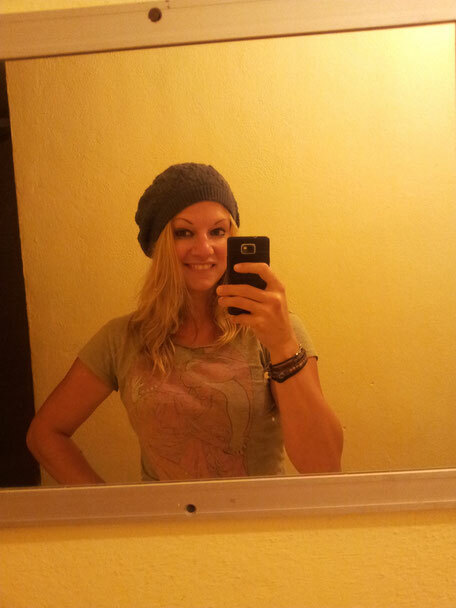 I told the lady I am a Yoga teacher and worked the last weeks at Raices y Brazos in San Jose del Cabo. "Ah! Peter! How is he doing? He is a friend of ours.” What a coincidence! After our chat I went out to go on my catwalk to discover the city of La Paz. I walked through La Paz when I passed a place which looked like a restaurant and some interesting people hung around there. I walked further and looked into a small restaurant when suddenly someone was calling my name:"Jeanine! Hey JEANINE!" I turned and saw the nice couple I met the day before at Raices y Brazos. Haley and Max. They stopped at Raices y Brazos because Nico the guy from Brazil told them they should check it out. I offered Max a coffee at Raices y Brazos. So there they were again! They told me I should come with them and we went to their hostel. 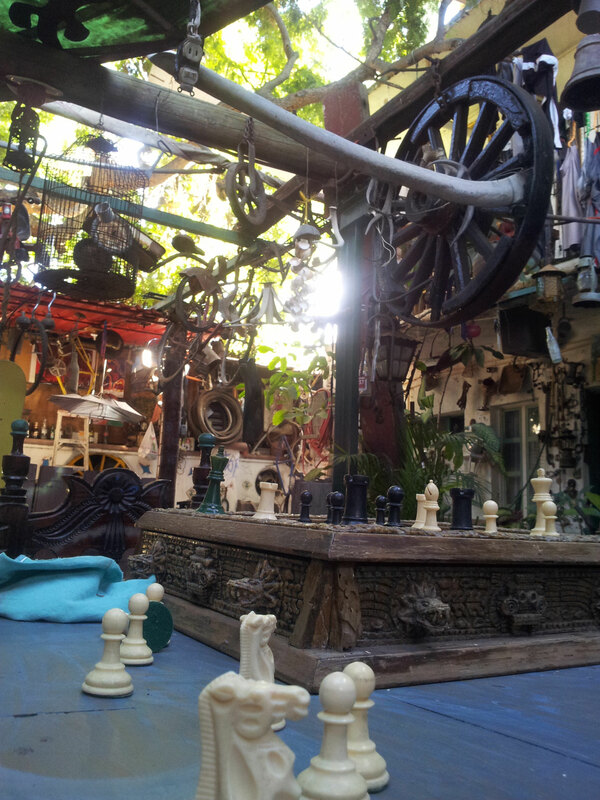 It turned out the interesting place I passed by before with interesting people was their hostel. There I met some other people I met before at Raices y Brazos. Interesting Hostel to stay. I think since 2 or 3 generations they collect things from over the world and put it into the hostel. Very comfortable and nice people there. Well, Baja California is really small... Haley and Max said they would go to the mushroom rock and I should join them. Two other guys came with us. It was a very fun ride with their rented car. Two days later I stayed in another AirBnB. The reason was that I booked that already. However, due to leaving Raices y Brazos earlier, I needed a place to stay. The other AirBnB was not available so I booked the friend of Peter’s AirBnB. I stayed with Omar and Raquel. Around two years ago Omar (Mexican) lived in Tijuana when his girlfriend broke up with him. It was a time for a change anyway for him. Therefore, he announced he would sell his stuff for very cheap on the following weekend . After he sold all of his belongings, he took his bike and backpack and rode with his bike through Mexico. In Puerto Vallharta, he met Raquel. A very smart and kind French-Canadian girl who was a bit fed up with Canada. So they both fall in love and since then they travel together. Raquel works online as a translator for English, French and Spanish. She already translated some books and other things. At the moment, they are a bit tired of traveling so they are staying for a while in La Paz. At that moment, I could not really understand what it means to be tired of traveling… I should find it out soon. Omar and Raquel welcomed me heartily and showed me around. With Omar, I hitchhiked for the very first time in my life. 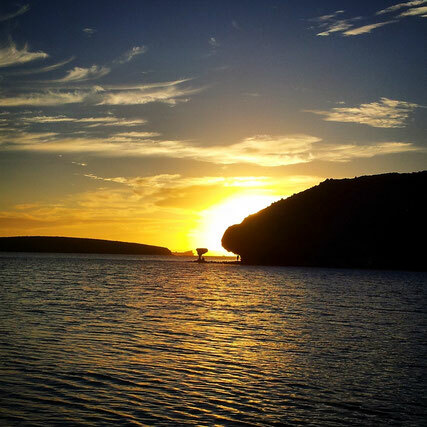 They also helped me to organize some things for my departure by ferry to Mazatlan. Yes, I really enjoyed staying with them. A few days before New Year’s Eve, I received a very sad message. One of my best friends wrote me that a former colleague of mine…. suddenly died. He was walking with his mum through a park when he suddenly got a heart attack. First aid could not help him. He was mid-forty. I was very shocked by that. Around Christmas, I received a photo from my former colleagues. They just wanted to let me know that they are thinking of me. I cried for happiness. He was also in the photo. Smiling and looking like that always. What happened showed me how important it is to appreciate life every day and live in the moment. It does not mean to waste all of your money and party every day but it means to live with more awareness and consciousness. Life can be over very fast. That is what his sudden death showed me. I dedicated the following video to him. I made it when I camped with Violeta and Jorge at the beach in San Jose del Cabo. 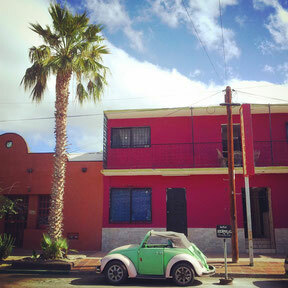 Read next time about my two weeks stay in Mazatlan where I did workaway at the hostel Funky Monkey. There, I met very nice people.